Actress Lakshmi Manchu’s TV show “Memu Saitham”, which made on the lines of Sonali Bendre’s Hindi TV show Mission Sapne will telecasts from April 2 at 9 PM on Gemini TV. 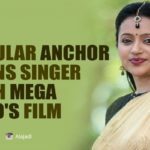 ‘Memu Saitham’, the show hosted by Lakshmi Manchu, has come as a blessing in disguise for the needy people and organizations which work for the welfare of the people. Particularly, The episode featuring Sai Dharam Tej has received superb response. Memu Saitham is a TV show, which helps the common man to achieve their dreams. Tollywood stars Rana Daggubati, Akkineni Akhil, Regina Cassandra, Rakul Preet Singh already did some odd jobs like coolie, sales girl, auto driver and going to donate the money earned by multiplying it with 100 to the poor people. Mega Hero has gone to a busy street to raise funds for the nobel cause. He didn’t hesitate to sell eatables to the common man and collected as much offered by the people. . As part of the show, Sai has sold sweets, eateries on a busy street and collected funds for the noble cause. This isn’t all. He also appealed the fans of all the Stars and Telugu people to generously donate for the charity. Altogether, Around Rs 20 lakhs has been generated by Sai Dharam Tej. This is said to be highest ever amount generated by any of the Tollywood Stars till date. The proceedings will go for the School for Specially Abled in Pulimeru, East Godavari district. Sai Dharam is already making the Mega family feel proud of him. 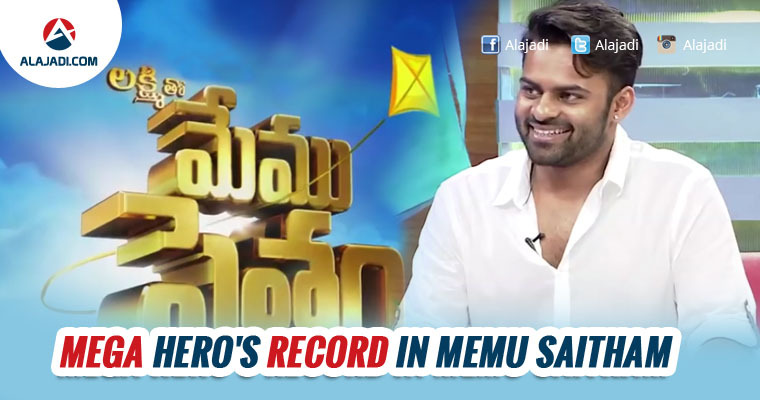 And that’s the highest ever for any episode of Memu Saitham,” said a source close to the actor.